Twitter has been seen as one of the most popular social media sites for the past nine years. The potential for real estate marketing is enormous, right along with the business end of the building, construction and manufacturing oriented trades. However, unlike its competitors, such as Facebook or Instagram, Twitter stands out in terms of its potential use as a search engine. More and more users are taking advantage of the broadsided searches that are achievable through Twitter. When searching a topic on Twitter, the search pulls in not only what, but who is talking about the specific term or targeted keywords, hashtags, related usernames, or emotions, as well as the information you are searching for. Twitter delivers a bird's-eye view of public tweets that have been posted in relation to the topics you seek. Another unique feature about Twitter Search is that users have the ability to search two things at once. 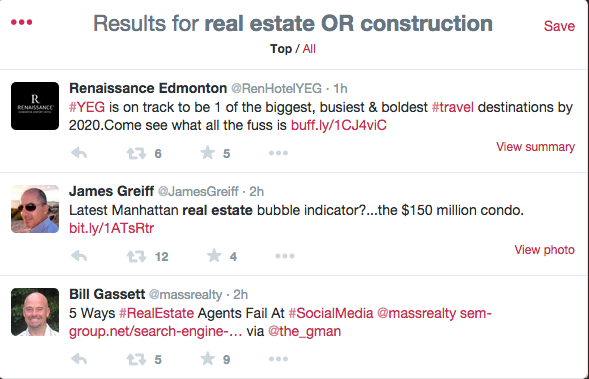 For example; “real estate OR construction” will include all search results from both real estate and construction related tweets. This will significantly decrease the amount of time users are searching for what they need. More information can be found by clicking here for or additional information. Another benefit to using Twitter is the unique Popular Accounts page. This page allows users to search posts or topics among the most popular Twitter accounts. Users can also search two things at once under this page. For example when searching “retail OR construction” the most popular users related to the topic are pulled into the feed such as, @Retail or @GoogeRetail. This allows users to eliminate all unwanted posts made by irrelevant users. When searching for a company name or organization, you can instantly see reviews and how the public is reacting towards that industry. “Twitter gathers information of people’s experiences with products and services as they interact with them," reported Michael Arrington with TechCrunch. You can also see other promotions and deals the business may be offering currently as the results are organized by the most recent posts. When searching usernames, you can search for posts by the user as well as the posts addressing the user. By searching @example, you will be able to view all posts regarding that specific user. You can also search a first and last name in order to view when an individual is mentioned instead of searching their username. Twitter also has an Advanced Search option. This allows users to search specific phrases and search in other languages, as well as specific places that users are tweeting about. 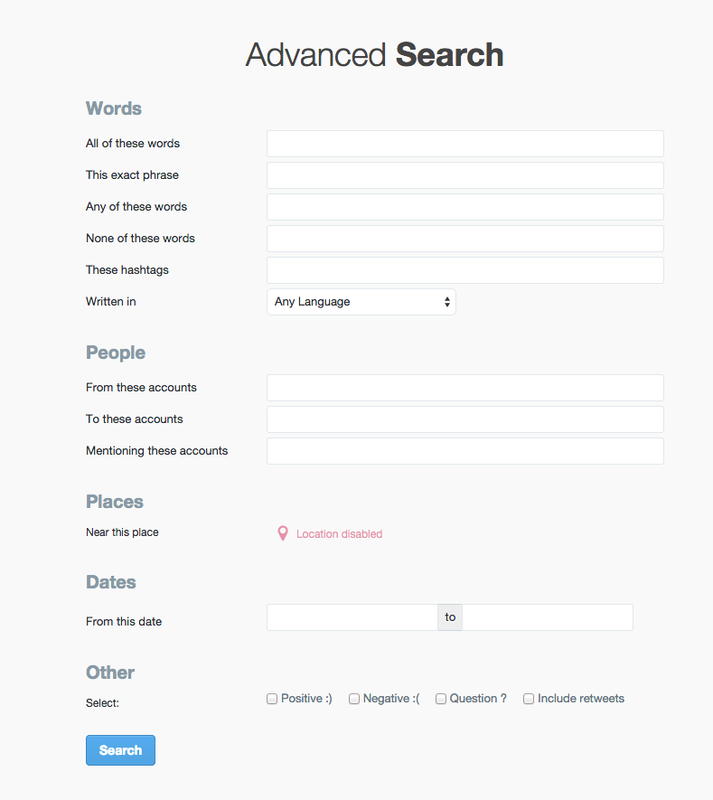 Twitter Search is one the most unique search engines to date. More and more people are going to Twitter for their main search site every day. With endless possibilities, Twitter will soon be seen as a search engine over a social media site. This entry was posted in Digital Service, Media Relations, News by Abbie Benge. Bookmark the permalink.